A freshly compiled version of EVGA Precision is up for grabs. 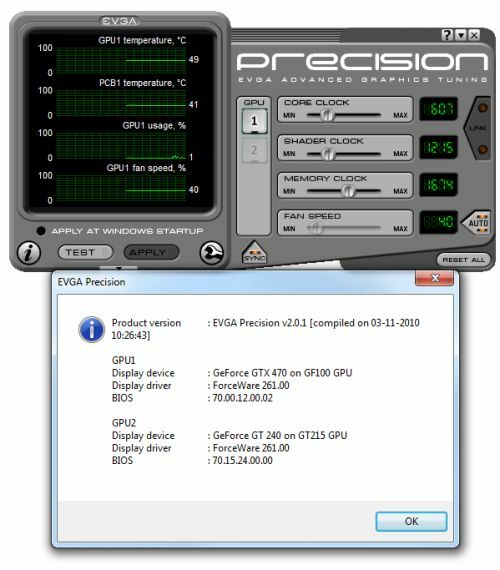 EVGA Precision is a GPU monitoring utility and allows a fine core, shader and memory clocks tuning of your graphics card. You can download Precision 2.0.1 HERE.